As the summer come to an end and autumn sets in, you will find that the leaves naturally start to yellow and the plant looks a bit sorry for itself. It is at this stage or before the first frost that you need to get your plant ready for the winter. The coloured Zantedeschia rhizomes need to be kept completely dry and frost free over the winter. This can be achieved two ways and both methods work equally well. If you have your rhizomes planted in manageable pots sizes and you have the space to store the pots you can leave them in those pots. In this case; before the first frosts watering should be stopped and the pots should be moved to a location where they can be allowed to dry out completely. If you cannot guarantee that the compost in the pots is thoroughly dry please use the next method. Once completely dry remove the brown foliage and store the pot in dry, cool but frost free location like a garage or cellar. Lifting the rhizome (bulb) from the compost is the alternative option. Before the first frost empty out the pot and remove as much of the compost from the rhizome without damaging it. It does not matter if you break the fleshy roots. Leave the rhizome in a dry frost free location in the light for now, a greenhouse is a good location to start with as the sun will help to dry the surface of the rhizome. After a week or so the rhizome is ready to be wrapped in newspaper or put in a paper bag and stored somewhere dry and cool but frost free. 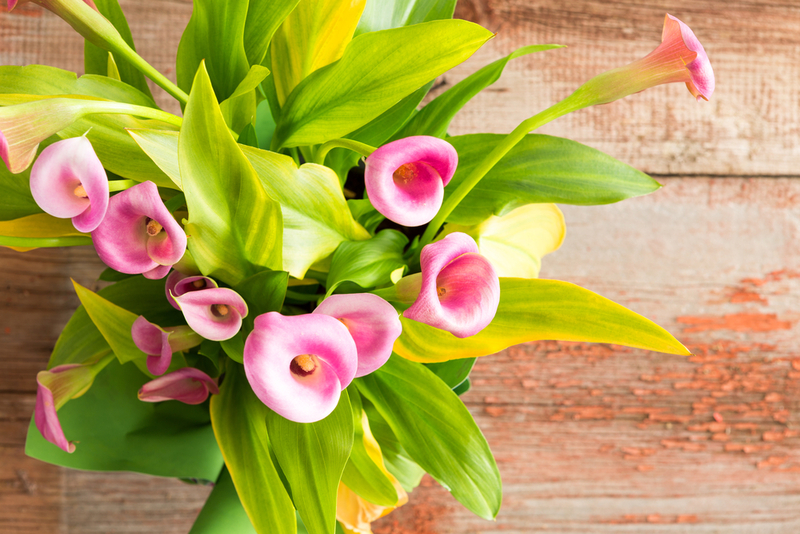 This entry was posted in Zantedeschia (Calla) Tips. Bookmark the permalink.